Good Morning! Thank you for stopping by. 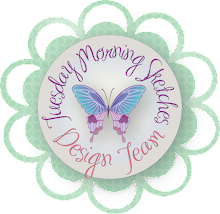 The latest sketch is up at Tuesday Morning Sketches and it's soo pretty! I hope you'll like it as much as I do. 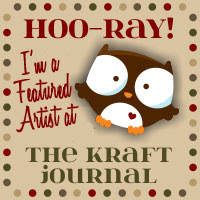 My card features a beautiful stamp by Pink and Main. 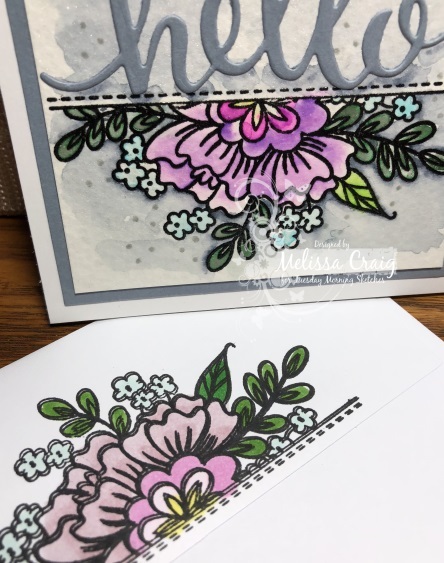 I had so much fun coloring this stamp - I made two cards. 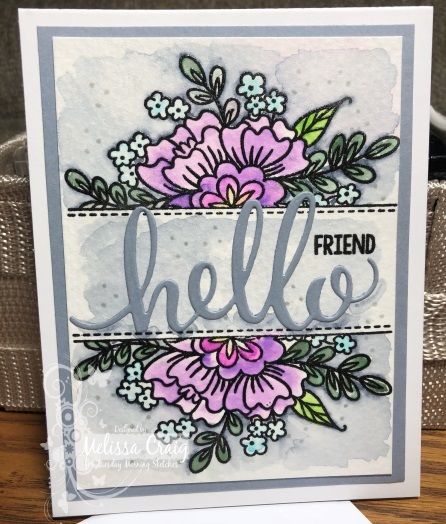 This first card I embossed the image on Ranger water color paper and colored with Zig Clean Color Real Brush markers and an aqua-brush. The sentiment is die by Pink and Main. The envelope I colored with Copics and got a fairly close match. This next card I decided to try a technique that I saw on You Tube. I honestly can't remember if it was Jennifer McGuire or Effie with The Ton stamps that I saw this technique. The image was messily colored and then sprayed with water. I grabbed the bottle of water that had Perfect Pearls in the bottom so I didn't realize until I started spraying that I'd have shimmer, too. I made a mess, so I had to cover it up with gray around the image and it turned out soooo cool! The sentiment is a hello die by Pink and Main and the "friend" is also from Pink and Main. 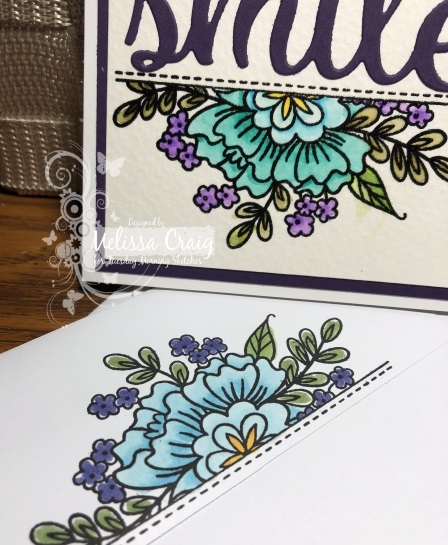 I did the envelope, too, but I messed up a little and didn't make sure it was in the same spot in the MISTI when I double stamped so it came out a little blurry. 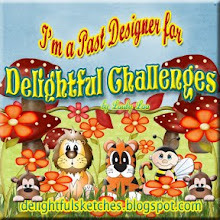 Please be sure to visit us at Tuesday Morning Sketches and join us in this challenge. 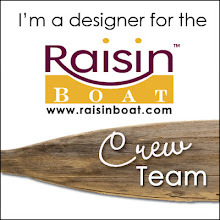 Also, please visit the design team. 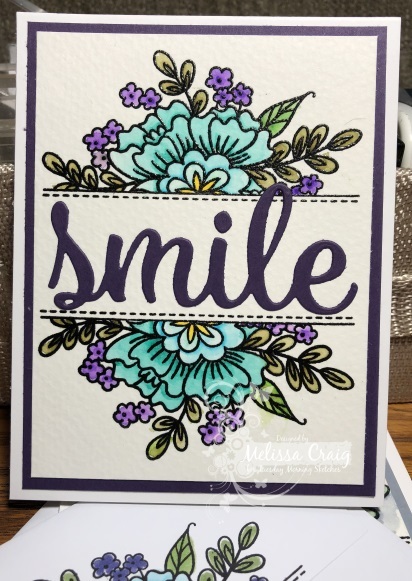 Both are gorgeous, I especially love the subtle shading and that you used it on the sentiment strips as well...makes such a difference! I think both of these came out beautiful Melissa!! 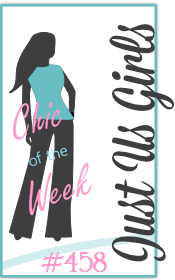 Isn't it great when a mistake comes out better than it was supposed to be in the first place??!! Both cards are WOW factors with your amazing coloring skills! I can't pick a favorite, but I love the envie as much as the cards! Well done!